The 4th day of the TCA tour started out not with a panel but with a poolside breakfast with the cast of USA’s new series, “Covert Affairs.” Like several of my fellow critics, I’m not a huge fan of events where the network publicists divide with the cast members and conquer the room by bringing the actors by the various tables and saying, “Oh, have you met (INSERT ACTOR’S NAME HERE) yet?” I’m not saying it isn’t kind of cool to be finishing up your danish and have Peter Gallagher and Keri Matchett stroll up…which, as you might’ve guessed, is exactly what happened to me…but at the same time, my concentration is on my breakfast, not on whatever questions I might have for them, so it’s kind of a stilted conversation. I mean, c’mon, man, I haven’t even finished my coffee yet! I did manage to ask Keri if this new gig meant that we wouldn’t be seeing her pop up on “Leverage” again anytime soon, and, alas, she sighed and admitted that it probably did. Damn. Before I headed back upstairs to the ballroom to get ready for the first proper panel of the day, I waited around for a few minutes in hopes of chatting with Sendhil Ramamurthy and Anne Dudek, but after loitering for 10+ minutes as they talked with someone from TV Guide, I could see no signs of their conversation abating. I finally gave up and decided that I’d just try to grab them at the NBC party that evening…which, FYI, I successfully ended up doing. When I watched the pilot for “The Event,” a new sci-fi / action series that will immediately remind viewers of “Lost,” “Fringe,” and possibly even “24,” I was instantly captivated and loved every minute of it. Even as I watched it, though, I knew that my wife would be far less thrilled, owing to the fact that there is a tendency for the proceedings to bounce back and forth in time…and she hates that. Clearly, she’s not the only one, since the topic was addressed almost immediately during the show’s panel, but the show’s executive producers – Nick Wauters, Steve Stark, Evan Katz, and Jeffrey Reiner – reassured us as much as possible. I don’t know if that’ll make my wife feel a heck of a lot better, but it’s something, anyway. It also serves as a reminder that, although “The Event” has a tremendous cast, one which includes Zeljko Ivanek, Laura Innes, Jason Ritter, Sarah Roemer, Scott Patterson, and Blair Underwood (as the President of the United States), as a serialized drama, it’s the producers who hold the answers to all of the truly important questions. Heck, the actors don’t really know anything…and they’re not afraid to admit it! When the season finales begin to air, then you know that it’s only a matter of time before the network upfront presentations begin. If you’re not familiar with the concept of the upfront, it’s when the networks formally roll out their fall schedules, providing advance warning about the slate of new programming for the next season, thereby allowing for several months of snarky comments about series which no one has even seen yet. Give credit to NBC, though: they’ve actually offered up clips for virtually every one of their new shows in order to get the buzz going as quickly as possible…be it positive or negative. Check out what they’ve got to offer, then let us know what you think! 9 – 10 PM: The Event: an emotional, high-octane conspiracy thriller that follows Sean Walker (Jason Ritter, “The Class”), an Everyman who investigates the mysterious disappearance of his fiancée, Leila (Sarah Roemer, “Disturbia”), and unwittingly begins to expose the biggest cover-up in U.S. history. Sean’s quest will send ripples through the lives of an eclectic band of strangers, including: newly elected U.S. President Martinez (Golden Globe nominee Blair Underwood, “In Treatment”); Sophia (Emmy Award nominee Laura Innes, “ER”), who is the leader of a mysterious group of detainees; and Sean’s shadowy father-in-law (Scott Patterson, “Gilmore Girls”). Their futures are on a collision course in a global conspiracy that could ultimately change the fate of mankind. Ian Anthony Dale (“Daybreak”) and Emmy winner Željko Ivanek (“Damages”) also star in the ensemble drama. Stark (“Medium,” “Facing Kate”) serves as executive producer, Evan Katz (“24”) serves as executive producer/showrunner, Nick Wauters (“The 4400,” “Eureka”) is creator/co-executive producer and Jeffrey Reiner (“Friday Night Lights,” “Trauma”) is the director/executive producer. 10 – 11 PM: Chase: a fast-paced drama that drops viewers smack into the middle of a game of cat-and-mouse as a team of U.S. marshals hunts down America’s most dangerous fugitives. Kelli Giddish (“Past Life”) stars as U.S. Marshal Annie Frost, a cowboy boot-wearing deputy whose sharp mind and unique Texas upbringing help her track down the violent criminals on the run. Cole Hauser (“K-Ville”), Amaury Nolasco (“Prison Break”), Rose Rollins (“The L Word”) and Jesse Metcalfe (“Desperate Housewives”) also star as members of Frost’s elite team. Jerry Bruckheimer (“CSI” franchise, “The Amazing Race,” “Pirates of the Caribbean” films), Jonathan Littman (“CSI” franchise, “The Amazing Race,” “Cold Case”) and Jennifer Johnson (“Cold Case”) serve as executive producers, while KristieAnne Reed is co-executive producer. 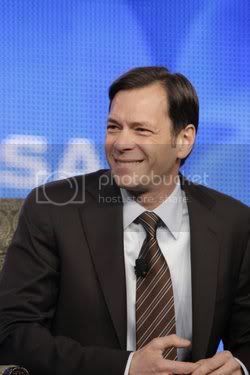 David Nutter (“The Mentalist,” “Without a Trace” “The X-Files”) directed and is executive producer of the pilot, which was written by Johnson. Tags: 30 Rock, America's Next Great Restaurant, Chase, Chuck, Community, Dateline NBC, Football Night in America, Friends with Benefits, Harry's Law, Heroes, Law & Order, Law & Order: Los Angeles, Law & Order: Special Victims Unit, Love Bites, Mercy, Minute to Win It, NBC Sunday Night Football, Outlaw, Outsourced, Parenthood, Parks and Recreation, Perfect Couples, School Pride, The Biggest Loser, The Cape, The Celebrity Apprentice, The Event, The Marriage Ref, The Office, The Paul Reiser Show, Trauma, Undercovers, Who Do You Think You Are? I think it’s fair to say that there wasn’t a single member of the Television Critics Associate who wasn’t chomping at the bit to see how this session was going to go down. With all of the controversy breaking about the reported cancellation of “The Jay Leno Show” and rumors of its host moving to a half-hour slot at 11:35 PM, thereby moving the other members of the late-night line-up – “The Tonight Show starring Conan O’Brien” and “Late Night with Jimmy Fallon” back by an hour, everybody wanted to know how NBC was going to handle damage control. 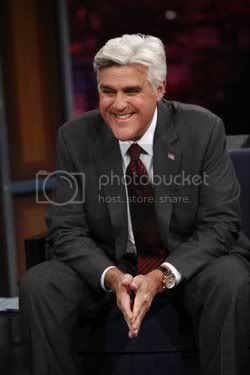 The levity quickly went by the wayside, however, as Gaspin went into the recitation of what one can only presume was a well-tweaked statement, confirming that, starting February 12th, “The Jay Leno Show” will no longer air at 10 PM. He admitted that, although the series performed at acceptable levels for the network, it did not meet the needs of the network’s affiliates, hence the change in programming strategy. He also stated that NBC’s goal was to keep all three of its hosts as part of the late-night landscape – “The Jay Leno Show” at 11:35 PM, “The Tonight Show starring Conan O’Brien” at 12:05 AM, and “Late Night with Jimmy Fallon” at 1:05 AM – while acknowledging that this plan was in no way a done deal and that talks are still ongoing. Gaspin expects that the new late-night line-up will be in place by the time NBC’s coverage of the Olympics begins in February. Unsurprisingly, the critics’ claws were soon out, with one wanting to know exactly what happened with the network’s assurances during the summer TCA tour that the success or failure of “The Jay Leno Show” would not be determined fully until the series had run for a full 52-week cycle. Gaspin maintained that the 52-week plan still would’ve been his preference but again cited the affiliates’ concerns as being the driving force behind the comparatively-quick removal of the series from its prime-time berth. He also underlined that, insofar as he was concerned, the reason behind the limited viewership had nothing to do with the show or its level of quality. “There’s a lot of choice at 10 PM,” he said. “We thought it could be everybody’s second choice, but there were just so many other choices that people thought were better.” In the end, Gaspin conceded that “The Jay Leno Show,” while being easy entertainment, simply wasn’t the first or even second choice of enough viewers.